I’m living my purpose. I love what I do and the people in my life. To say that I’m thankful is an understatement. I’m incredibly thankful and believe my life should be an expression of that thankfulness. I believe we are blessed in order to be a blessing. We’ve each been given talents to bless others. I’m definitely not Susie Homemaker. I hate to cook. My closets are always a mess. I struggle with worry. And I’m a gym dropout. I’m hopelessly imperfect, and I’m not trying to hide it. I’m also not trying to hide the fact that I believe in God. He’s the CEO in my life and in my practice. I think it’s important to know where I’m coming from when you consider working with me. But I always take my cues from my clients – because when we work together it is not about me, or what I believe. It is about you and your life. As a believer though, I’m called to love others, share my talents, and give back. I’m committed to giving a portion of the income from my practice to for-purpose organizations I believe in. One of those is a wonderful organization called The Pearl House. 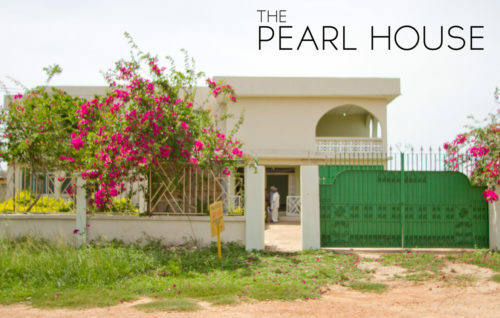 The Pearl House shelters, educates and disciples at-risk young women in Ghana and, in the future, other under-served communities around the world. It’s dedicated to providing refuge for vulnerable girls, teaching them Truth and giving them freedom and hope for the present and future. It helps them discover their identity and purpose in Christ by providing them the following opportunities: physical care, academic instruction, spiritual development, vocational training, recovery/counseling, and livelihood development. It is their goal that the young women be empowered to become anything they are called to be, whether a seamstress, a chef, or doctor, or anything! I love The Pearl House mission and vision and am honored to help support it! You can find out more about The Pearl House and donate here.